Colossus was a set of computers developed by British codebreakers in the years 1943-1945 to help in the cryptanalysis of the Lorenz cipher used by the German Army. Colossus used thermionic valves (vacuum tubes) to perform Boolean and counting operations. Colossus is thus regarded as the world's first programmable, electronic, digital computer, although it was programmed by switches and plugs and not by a stored program. Colossus was designed by research telephone engineer Tommy Flowers. Alan Turing's use of probability in cryptanalysis contributed to its design. The Women's Royal Naval Service (WRNS, popularly and officially known as the Wrens) was the women's branch of the United Kingdom's Royal Navy. 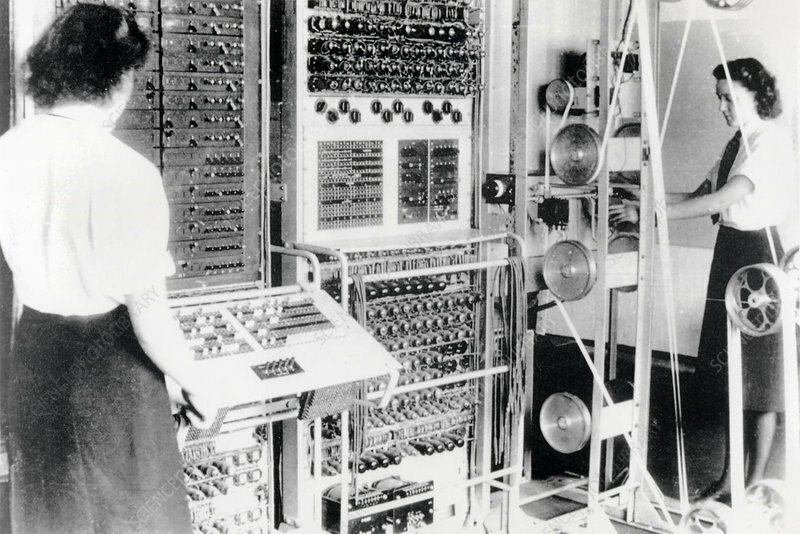 About 8,000 women worked in Bletchley Park, the central site for British cryptanalysts during World War II. Women constituted roughly 75% of the workforce there.